Exciting new development in the Hamilton Executive Apartments family of buildings! 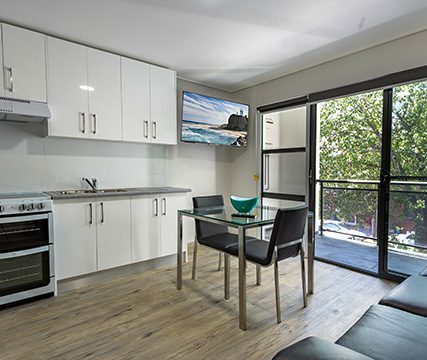 This new development on Beaumont street has all the features you can expect from our premium Newcastle accommodation, with the addition of also being located in a great new area. 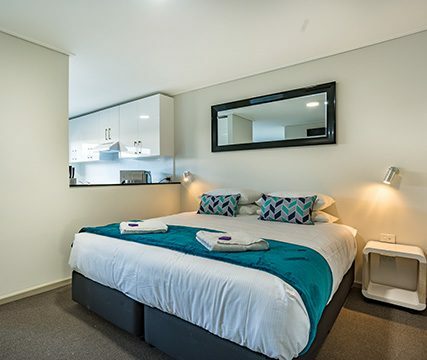 Expect the same great proximity to Hamilton’s thriving entertainment and dining precinct, and well appointed, value-packed accommodation for the discerning traveller. We trust that you will stay with us soon, and we’re very excited to meet you. we enjoyed a very comfortable 3 nights. Thankyou! Excellent location, clean room, had everything we needed, very modern, very spacious. I loved the focus on noise restrictions... there is a real emphasis on respecting other guests and this is greatly appreciated. The rooms are not huge but fresh, modern and very well appointed. The staff were very accommodating.